OSSC is proud to announce our newest partnership with the Rideau Sports Centre (RSC). We will be a prime tenant throughout the year. This new multisport facility is unique to the City, providing us the ability to play in a great downtown location, under a dome and on multi-use courts. It provides us the ability to play 4 volleyball games, 3 basketball or 3 futsal games at the same time. Having so many teams under one roof will provide an enhanced fun and social environment for our players. 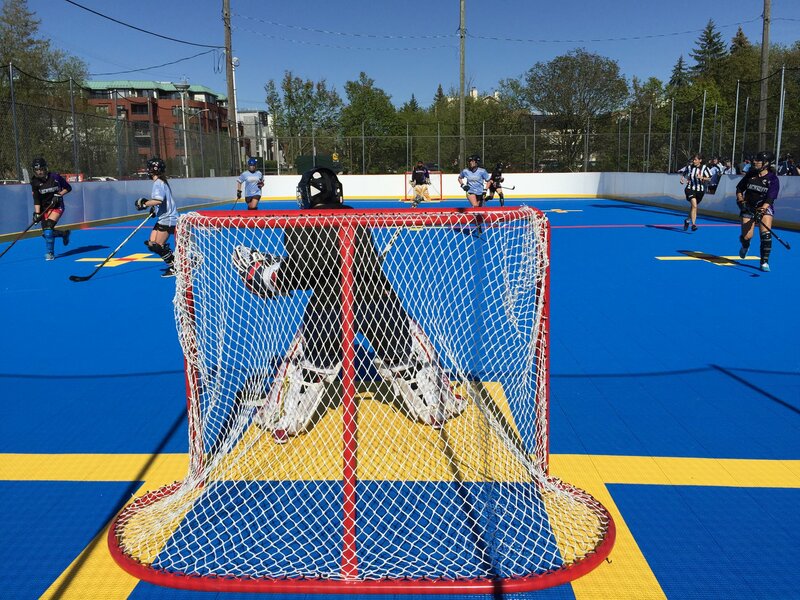 Also new during summer 2018 is the recently installed Dek Hockey courts! This version of hockey models ball hockey but with the speed of ice hockey based on the specialized rink surface. Check out the leagues OSSC offers at RCS below - make sure to register before the January 3rd deadline as some leagues will sell out! If you have any questions, please call us at (613) 565-TEAM (8326) ext. 151 or email info@ossc.ca. If you would like more information about the Rideau Sports Centre please click HERE.